Let's start off with today's revealed cards and then move onto ones from yesterday I missed, shall we? She makes tokens so much better! 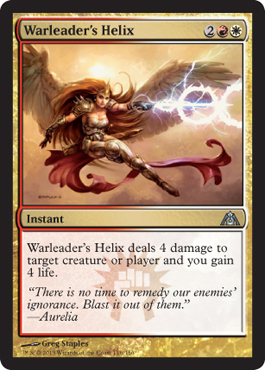 But... she costs 7 to cast... Maybe good in Commander/EDH though. 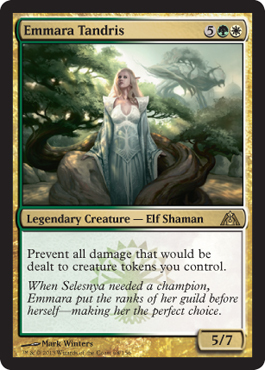 I'd throw her in as a commander with Trostani as the back-up commander, and then just have a lock of token generating going on. Plain and simple. One mana to copy a token. 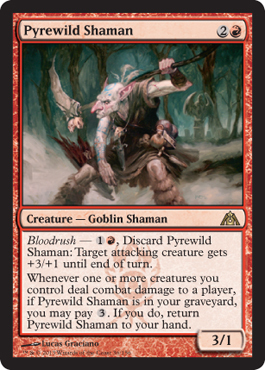 Release causes each player to sacrifice an artifact, a creature, an enchantment, a land, and a planeswalker for 6 mana. This is very powerful, especially paired with Catch. Just costs a lot to cast. Art in the card frame.